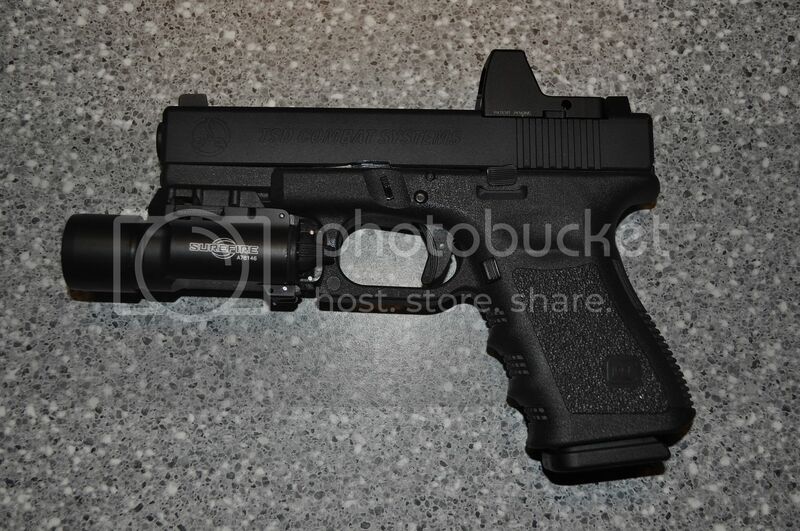 Glock 19 with a TSG slide with a Trijicon RMR with back up Iron sights and a SureFire X300. So far I really like this package. 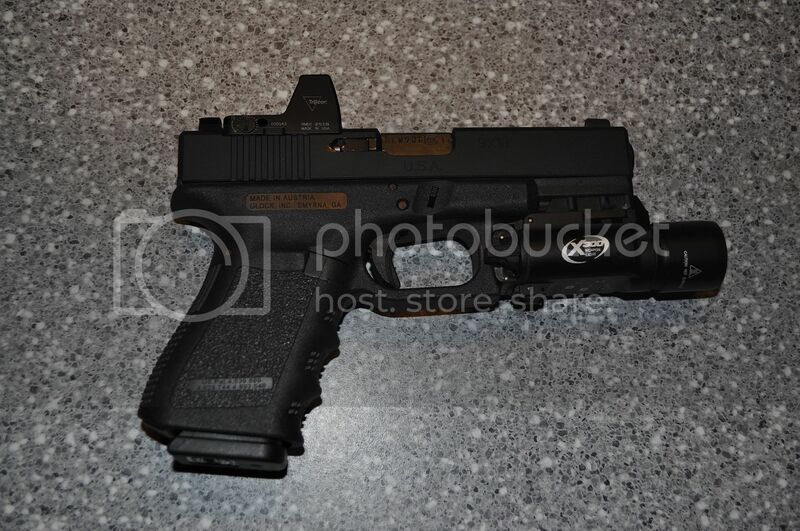 Ill revisit this article after I have a few more rounds down range with it.